Mouse anti Human CD140a antibody, clone 35248 recognizes the human platelet-derived growth factor receptor alpha, a 1089 amino acid, ~180 kDa single pass type I transmembrane glycoprotein. PDGF is a major serum mitogen that can exist as a homo- or heterodimeric protein consisting of disulphide-linked PDGF-A and PDGF-B chains (Hart et al. 1990). The PDGF-AA, PDGF-BB and PDGF-AB isoforms have been shown to bind to two distinct cell surface PDGF receptors with different affinities. Whereas PDGF receptor alpha binds all three isoforms with high affinity, PDGF R beta binds PDGF-BB and AB but not PDGF-AA (Hart et al. 1988). Both PDGF receptor alpha and beta are members of the class III subfamily of receptor tyrosine kinases (Westermark 1995). Mouse anti Human CD140a antibody, clone 35248 has been reported for use in functional studies. The ND50 was determined as 0.2-0.6 μg/ml for blocking 10 ng/ml of PDGF-AA biological activity on a quiescent confluent cell culture of human WS1 cells. Purified recombinant human platelet-derived growth factor (PDGF) receptor alpha (extracellular domain), derived from the insect cell line Sf21.  1This antibody recognizes CD140a under non-reducing conditions. De Paula, M.L. et al. (2014) The PTEN inhibitor bisperoxovanadium enhances myelination by amplifying IGF-1 signaling in rat and human oligodendrocyte progenitors. Preisner, A. et al. (2015) Non-steroidal anti-inflammatory drug indometacin enhances endogenous remyelination. Acta Neuropathol. 130 (2): 247-61. Kuroda, M. et al. (2017) Peripherally derived FGF21 promotes remyelination in the central nervous system. J Clin Invest. 127 (9): 3496-509.